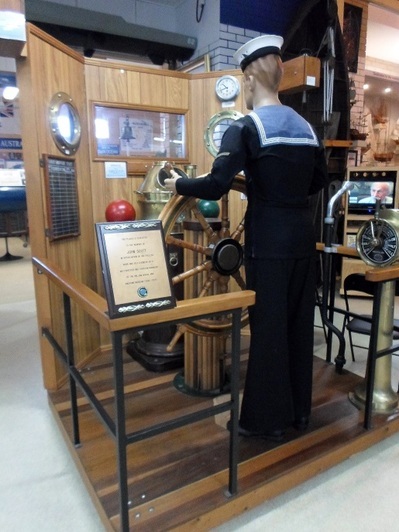 The Ballina Naval and Maritime Museum comes strongly recommended by locals, and while I don't live in the area, I'll have to add my voice to theirs, because this place is full of so many interesting stories that it will have you occupied for hours. The most intriguing part of the museum (at least in my opinion) is its La Balsas section. 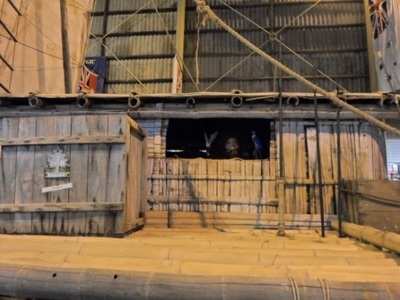 La Balsas was an expedition led by Spaniard Vital Alsar which involved twelve men traveling from Ecuador to Australia on three wooden rafts that replicated the kind used by South Americans before the arrival of the Spaniards. The expedition was supposed to end up at Mooloolaba in Queensland but currents carried the group down to Ballina, on the north coast of New South Wales, where they were towed to shore. 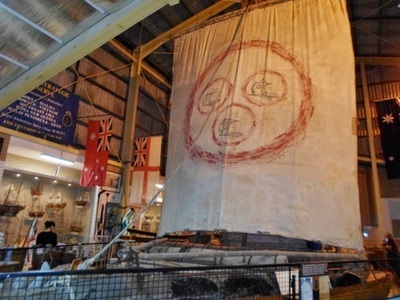 The Ballina Naval and Maritime Museum now houses a restored version of one of the rafts, in an extension built just to contain it. On your visit, you can learn the whole story of the La Balsas expedition from a video mounted on the back of the raft. It contains real footage from the journey and depicts all aspects of the trip from start to finish, including things like their fishing methods, ship maintenance, pet cats and all the rest. While the La Balsas section should be first thing you see here, there are a lot of other interesting stories to discover too, such as the one about the boat full of 65 illegal Chinese immigrants that managed to sail down the east coast of Australia undetected and arrive in Ballina in 1999, as well as those about the town's involvement in various wars and the ships that have been sunk off it. 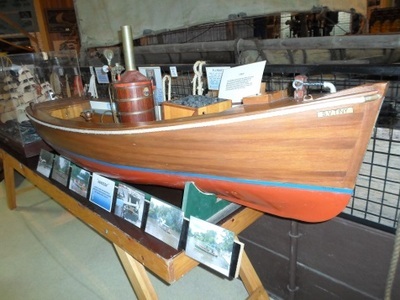 The museum also provides a history of Ballina as a port and has plenty of information on other elements of Australia and even the rest of the world's maritime history general, such as examples of different forms of sea transport that have been used over time. 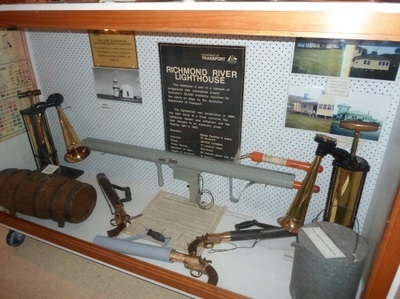 It also has the largest collection of naval and merchant ships in Australia, which completely dominate the second room here. 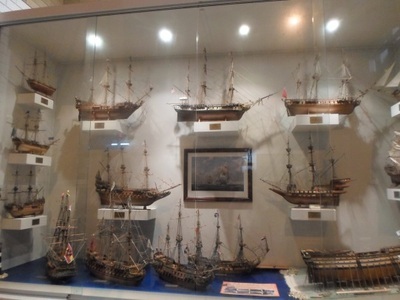 There's also a cabinet full of model ships once owned by resident Leslie Campbell O'Donnell. While the museum only has two rooms, there's still so much to see. Too much, in fact, for you to probably get through it all (I only managed because my visit fell on a very stormy day and I didn't mind staying inside for hours). But you can be sure you will leave satisfied though.